By Michael Lewis on June 27, 2013 - Existing home sales rose 13 percent in May compared to the same month a year ago. 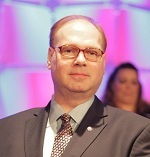 This is welcome news for builders, realtors, lenders and Notaries who have suffered through a lengthy recession. 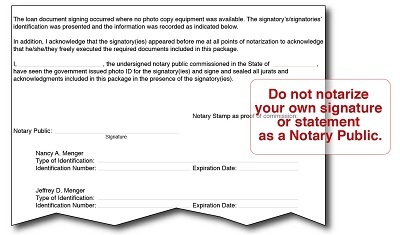 By David Thun on June 27, 2013 - Some Notary Signing Agents have been asked to sign and affix their seals to a statement called a “Notary Identity Certification.” Be careful how you complete these forms — the document generally contains flaws that can trip a Signing Agent up. By John Kenneth Cole on June 27, 2013 - If all states required Notary applicants to complete a basic education course, and to pass a test showing minimum proficiency, many “innocent mistakes” could be avoided. By NNA Staff on June 25, 2013 - Will I still be covered years after my current policy ends, if I happen to be called into court in the future for a notarization I performed years ago? By Moses Keshishian on June 20, 2013 - 75 percent of all Notaries use social media; what is surprising is how few Notaries are using it to grow their small businesses. By Michael Lewis on June 20, 2013 - Mortgage refinance activity is down 36 percent from its peak in May, according to the Mortgage Bankers Association — a trend fueled largely by a hefty jump in interest rates. Hotline Tip: What Can I Do In Case Of A Natural Disaster? By NNA Staff on June 20, 2013 - With the recent tornado devastating portions of Oklahoma and the continued threat of other natural disasters such as earthquakes or hurricanes in other parts of the nation, are there ways that Notaries can protect themselves and better assist others? By Kelle Clarke on June 14, 2013 - Because of her tireless efforts to champion Notary recordkeeping and education requirements, and her unswerving commitment to protecting the strength and professionalism of the Notary Public office, the National Notary Association is proud to have selected Montana Secretary of State McCulloch as recipient of the NNA’s 2013 March Fong Eu Achievement award. By Kelle Clarke on June 13, 2013 - Immigration reform legislation being debated by Congress could, if passed, create a new pool of three million homebuyers who would generate more than $500 billion dollars in potential real estate and property sales.